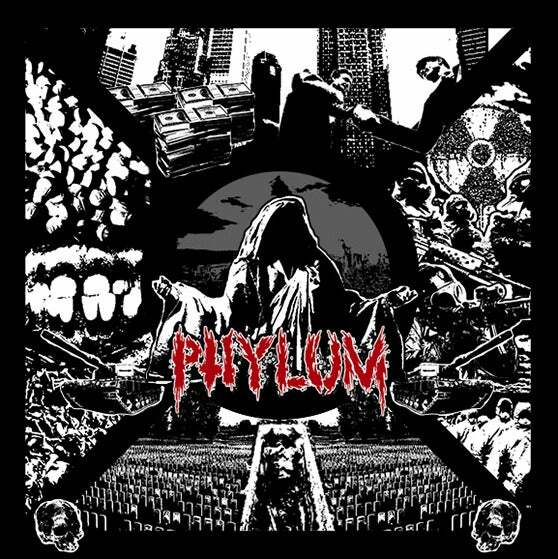 Brand new Phylum 'Grindcore' stickers! Only $1 or free with any purchase! Pro black and white 4"x2" vinyl stickers! Also, we will ship them free to you! !